YAYASAN Sultan Haji Hassanal Bolkiah launched a newly published book titled ‘Kegemilangan Pemerintahan: Kumpulan Artikel Sempena Jubli Emas Pemerintahan Kebawah Duli Yang Maha Mulia Paduka Seri Baginda Sultan Haji Hassanal Bolkiah Mu’izzaddin Waddaulah, Sultan dan Yang Di-Pertuan Negara Brunei Darussalam (1967-2017)’ at the Jawatan Dalam Hall of the Brunei History Centre, Bandar Seri Begawan yesterday. 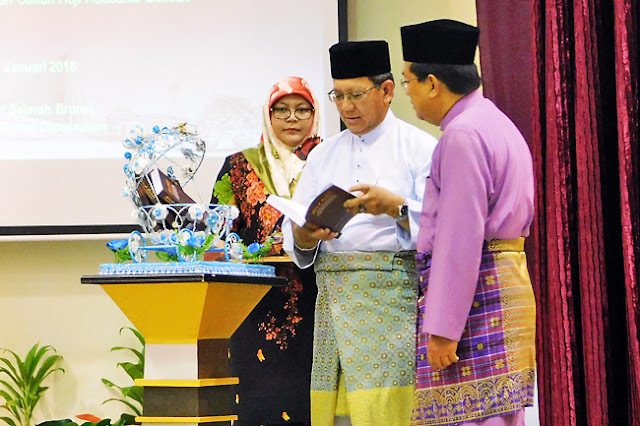 Minister of Education Pehin Orang Kaya Indera Pahlawan Dato Seri Setia Awang Haji Suyoi bin Haji Osman in his capacity as Chairman of the Yayasan Board of Directors, officiated the launch ceremony. The minister also officially opened the Annual General Meeting of the Brunei History Association (PESEBAR). THE Brunei History Association (PESEBAR) elected its executive committee members for the term 2018-2019 during its 7th General Meeting at Jawatan Dalam Hall of Brunei History Centre in the capital last Sunday. Pehin Siraja Khatib Dato Paduka Seri Setia Dr Ustaz Haji Awang Yahya bin Haji Ibrahim was re-elected as the chairman of the association. Other re-elected committee members were Dr Haji Awang Mohd Yusop bin Haji Awang Damit (Deputy Chairman), Associate Professor Dr Haji Asbol bin Haji Mail (Secretary General), Dr Haji Muhammad Hadi bin Muhammad Melayong (Deputy Secretary General) and Hanafi bin Haji Salleh (Treasurer). Announced as heard on radio. The new cabinet from 30 January 2018. JANUARY 18, 1958 – His Highness the Sultan explained the difference between a British Protectorate and a British Crown Colony to the people of Labu during a special visit he made there last Sunday. “A British Colony,” said His Highness, “is a country which is controlled one hundred per cent by the British Officials and whose policies and laws are made by the British Government. 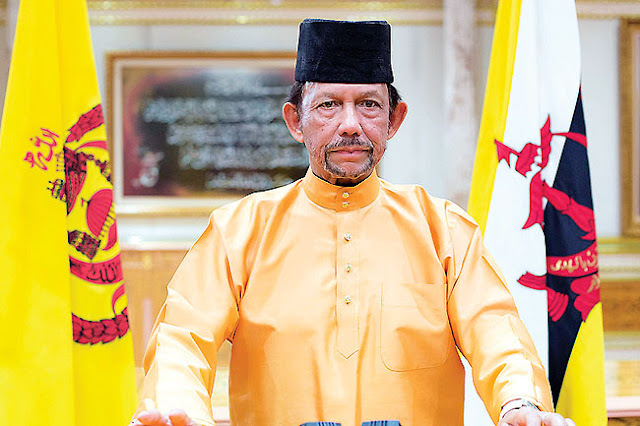 “Brunei is NOT a British Colony,” emphasised the Sultan. This country is your own country and I am your own Sultan and as such I am responsible for the country’s policies which concern the welfare and prosperity of the State. “Those who assist with the administration of the country are my officials who are mostly local born. There are also British officials seconded from Sarawak and other places who, before being employed in Brunei, must obtain my sanction and the approval of the State Council and also the recommendation of the Public Service Committee. HIS Majesty Sultan Haji Hassanal Bolkiah Mu’izzaddin Waddaulah ibni Al-Marhum Sultan Haji Omar ‘Ali Saifuddien Sa’adul Khairi Waddien, Sultan and Yang Di-Pertuan of Brunei Darussalam has consented for the amendment of the Act and Regulations for Pension and Allowance for People with Different Abilities (OKU), with effect from January 1, 2018. In the New Year titah for 2018 last night, His Majesty said, “We are aware that every individual has different capabilities and advantages. In this context, regarding the welfare of People with Different Abilities. I have consented for the amendment of the Act and Regulations for Pension and Allowance for People with Different Abilities. “Through this amendment, OKU allowances will also be distributed to eligible recipients aged below 15 at certain rates, and this amendment will take effect starting January 1, 2018.